L Street Lofts at the center of Midtown. One of the largest condos on the market at 1875 SqFt, with wrap around windows and wide open southeast views. 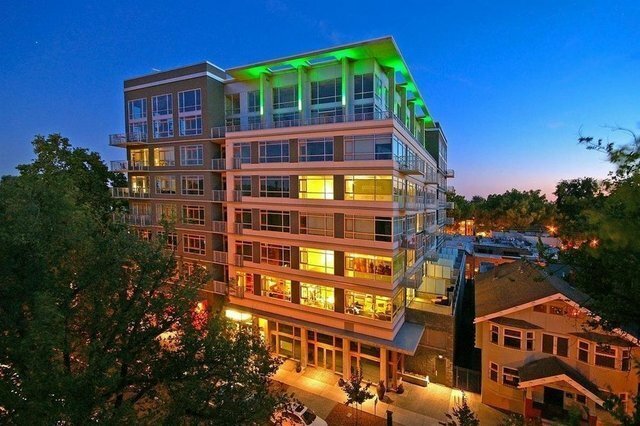 This bright corner one-of-a-kind loft includes 2 bedrooms with large master suite, 2.5 bathrooms, 2 balconies, beautiful wood floors, large living areas, and 2 garage parking places. A combination of 2 units, there is a main kitchen with island plus a breakfast kitchen/coffee bar. Located in the best location in Sacramento in a premiere secure building. There is a doorman Monday thru Friday and a virtual doorman otherwise. Quality construction, 10 foot ceilings, & custom windows are some of the features of the L Street Lofts. The tree top views to the east and south provide endless skies, vibrant sunsets, and twinkling nights - it's almost like being in a tree house. Walk out your door to some of the best restaurants, chocolatiers, wine bars, breweries, gelato, specialty shops. Don't miss this very special opportunity!